Send any sentiment with a rainbow of radiant tulips. 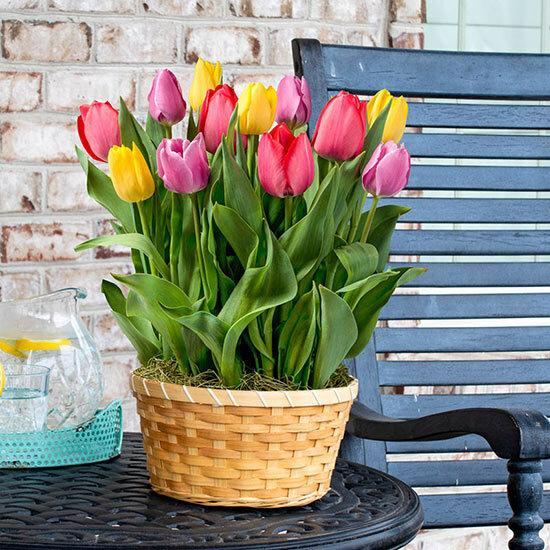 A basket of classic Dutch tulips is the perfect way to say, "thank you," "happy birthday" or "get well soon." This living gift will bring smile after smile as your recipient watches their tabletop tulip garden grow and bloom over the coming weeks. 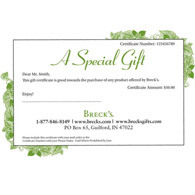 Also makes a great Easter or Mother's Day gift. Includes four each of Spryng, Kikomachi and Synaeda Amor Tulips. (8" dia.) EXCLUSIVE.